I bought my very first IQQU brush a month ago and I wanna give a quick and honest review of the red kabuki brush. When the package arrived I rush to my room and opened the box quickly. I ripped the plastic cover of the acne serum and kabuki brush I ordered, the kabuki brush is so soft and I love the color (and the fact that I bought it because of its color). I stroke and stroke it afterwards, 2 bristles fell off. I was heart broken and every time I wash it a lot more bristles fell off like 3-5 for 3 days this always happened and I almost stop using it because I can't stand to see it sheds. After 2 weeks the fall outs decreased from 3-5 to none and sometimes 1. Although it takes 2 weeks or more for my kabuki brush to stop having fall outs I can't hardly notice the fall outs at all. After washing it for the first time the brush became dull and frizzy unlike when I first received it, even if I use olive oil and handwash (anti-bacterial) then hang it upside down with a brush guard the brush continues to become more and more frizzy, so I tried to find a method to keep it in shape. I tried using tissue paper to cover it instead of a brush guard and hang it upside down, and at last I restore its shape and appearance. Now I still use this method every time I wash this brush. I use this brush most of the time to apply loose foundation or blush and even bronzer, because its so dense and the bristles give a soft and gentle approach on my skin, any loose product can be easily applied and will achieve a matte finish when you use it. 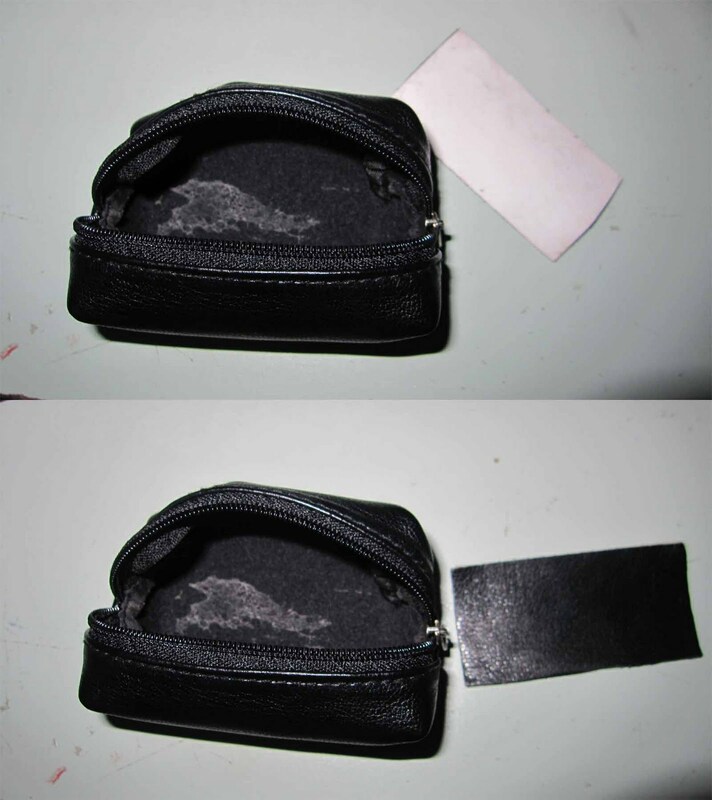 I mentioned earlier that I like how they appear but the leather container didn't reached my expectations, it was rather cheap looking and the rectangular base inside it was not properly attached and its made of hard paper. And every time I store my kabuki brush in it I noticed that my brush absorbs the awful smell of the leather so I bough another bag for my kabuki brush. Over all I am satisfied of its softness and appearance but I am not pleased of the fall outs i encountered by using and washing it. Yes, I understand that it's handmade and it's normal to have a minimal fall out but 2 weeks is so much. I can't hardly notice the fall outs though. About the leather bag, its nice looking but kinda cheap I love the IQQU label in it but I was devastated when the base got detached after I put my kabuki brush inside it. And it would also be nice if instead of covering the brush with a simple plastic why not change it with a durable and elegant cover just a suggestion. But if you'll ask me if I am grateful to have this brush in my brush set, I would definitely answer YES with confidence, this brush is one of my fav kabuki brush and It's very useful and elegant. As of now I don't have any complaints about this brush I've been using it for a month and it amaze me every time I use it on my face or simply using it as a tool in my Stylist and MUA (Make Up Artist) career. If you are looking for a soft, red and dense kabuki brush I personally recommend this one.I hope you like my review and try reading my other review and tips below. Don't forget to subscribe. Enjoy.